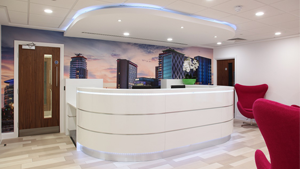 The Location: Serviced Office Space, Salford Quays. This recently refurbished building sits within a prominent location, in very close proximity to Media City. Clippers House has 4 floors which have been stripped back and completely refurbished to provide an extremely comfortable, unbranded environment for your business. 24 hour access, secure car parking right outside the door and great local facilities, this Centre aims to offer city centre service with day to day ease of out of town access via road or tram. This waterfront property boasts amazing views and amenities, in a much sought after area. We have created conference/meeting rooms that will impress your clients and say a lot about your business. 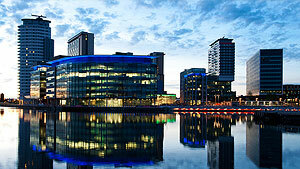 Our serviced offices in Salford Quays is located on Clippers Quay close to the popular Media City. Selima has been a tenant at Imperial Court for approaching 2 years. During that time we have expanded from 6 desks to 14 desks with ease which is the advantage of using serviced office space. The facilities are of a high standard and the level of service is fantastic. 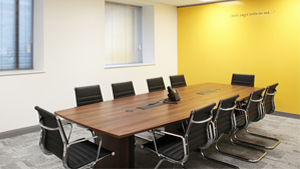 We particular like the meeting rooms which offer good flexibility and great value for money.